Here we are again, taking something new to the market place. We are grateful to everyone that guided us and offered feed back on a needed system like the one we are presenting you today. The Fleet Pro DEF tank was conceived from the initial idea of offering a Diesel Exhaust Fluid (DEF) outdoor mini bulk storage tank system. 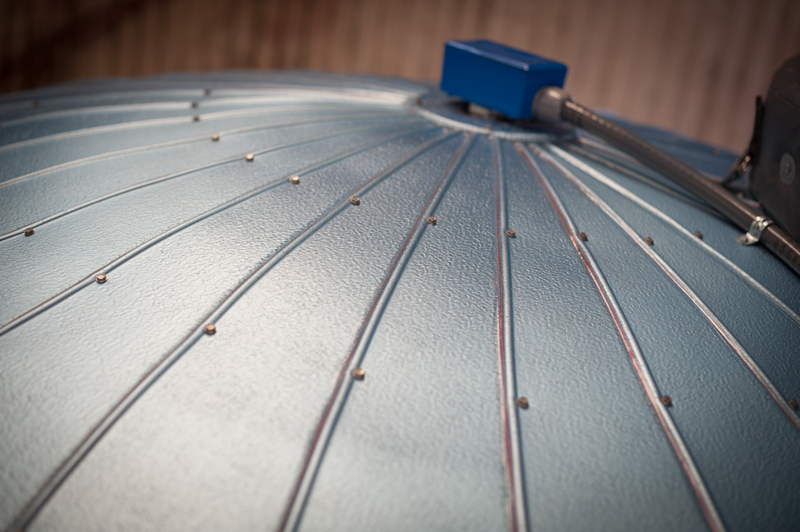 The insulated DEF tank, needed not only to perform well, but also needed to rank high on aesthetics. 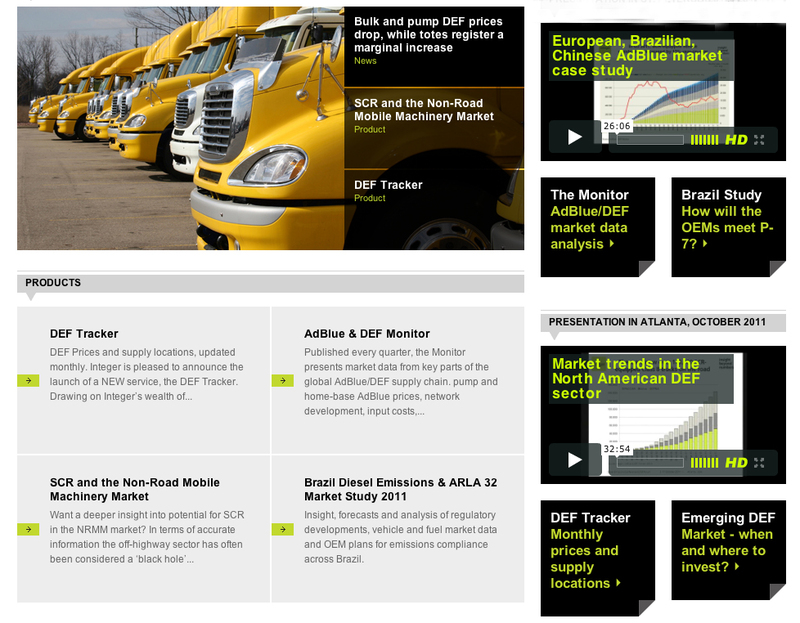 As the market continues to grow for bulk Diesel Exhaust Fluid (DEF), the Fleet Pro DEF will fill in a gap in today’s market. We understand that you, our DEF distributors, are looking for an easier way not only to deliver DEF but to do it economically, safe, and efficiently. The Fleet Pro DEF mini bulk tank system was carefully thought out, designed, and engineered to perform. We all know that Diesel Exhaust Fluid freezes at 12F, while not harming the fluid. However, no one wants to have a block of urea sitting in your bulk tank. The Fleet Pro DEF mini bulk tank boasts a 2″ thick rigid Polyurethane insulation board. We took this step for the simple fact that we wanted to maintain a uniform smooth surface all around the tank, enhancing its beautiful finish, while providing all the robust insulation properties. The baby blue aluminum exterior paneleing is finished in a beautiful stucco textured finish, carrying a long warranty. Maintaining temperature was left to our Diesel Exhaust Fluid (DEF) immersion stainless steel heating element with double pole settable thermostat 0-100F. 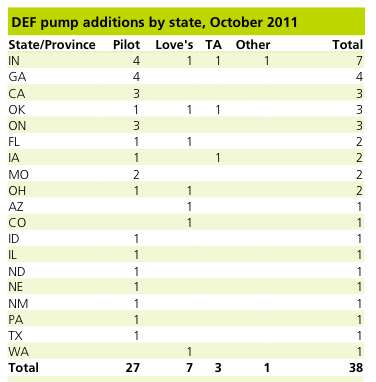 Serving as the main pump for the Fleet Pro DEF mini bulk tank system, is the superb DEF hornet hybrid pump (link). An optional range of imersion DEF pumps complete the list of options on the diesel exhaust fluid pumps available for this package. Each winter unit will come equipped with a built in liquid level display, but the TankLink wireless telemetry unit will be offered as an option along side with the standard level display. In typical Transliquid format, we have prepared a fun short video highlighting the standard equipment and upgrades available on these new units. The video will offer more detail, hope everyone enjoys it. Contact us here for distribution, or if you have any technical questions. You may also reach us at 281-377-5845. We look forward to talking to you. A big shout out to our industry, thank you for following this blog. 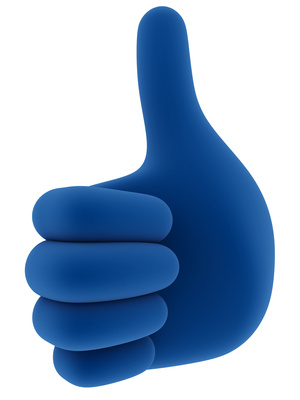 Our twitter followers and the many outstanding LinkedIn friends; you guys rock!. You, our existing subscribers and the hundreds of new readers that visit our site; it is because of you that we continue to rengineer ourselves and to push for better ways to communicate industry highlights for our customers. In that spirit, we continue our popular guest blogger series. We do this because there are so many outstanding people out there, trying to bring their own voice to this industry. Diesel Exhaust Fluid (DEF) has been growing tremendously, and the handling and storage of this product has been discussed many times and continues to be a very hot topic among industry forums. So, this time we wanted to bring a good friend whom we have followed for sometime now; we have seen his vision and drive; and the products that are being rolled out look extremely promising. Transliquid – Hi Rick, welcome to our blog! Transliquid – Tell us what GEMRIKUSA, LLC does and why you do it? GEMRIKUSA – Hi Andy, thanks for having us here. GEMRIKUSA, LLC manufactures insulated, modular Diesel Exhaust Fluid (DEF) storage Shelters for the protection of both single and dual totes of DEF. Larger, and custom bulk DEF storage Shelters, are also available. The concept for the modular series was to offer the industry an affordable option in protecting their DEF inventory from airborne contaminants and extreme weather conditions as recommended by the DEF industry. Transliquid – How did you and Jim get started in this industry? 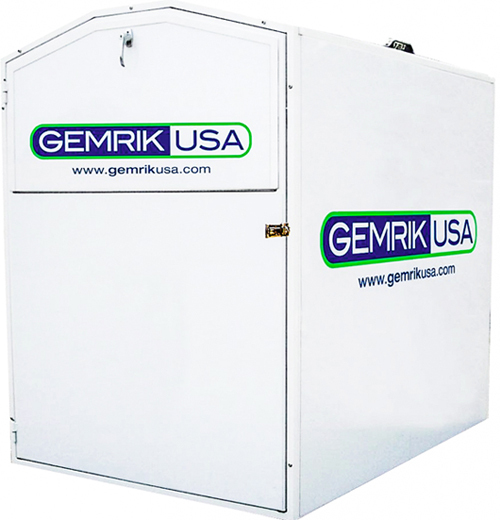 GEMRIKUSA – I was in the Biodiesel, Fuel, and Lube Industry, when DEF first surfaced in the U.S. and recognized the need for an affordable and functional option in the Diesel Exhaust Fluid (DEF) storage, protection, and dispensing arena. Jim has more than 30 years of design and production experience and holds numerous U.S. Patents, and, therefore, was the ideal person to partner with to bring our designs and concept to the market. My industry insight coupled with Jim’s design and concept abilities gave birth to the modular series of Diesel Exhaust Fluid (DEF) storage Shelter. As a commitment to our collaboration we formed our equally shared company in 2010. Since then, we have rapidly grown to one of the major manufactures in the small bulk DEF storage, protection, and dispensing sector. In addition, we are fortunate to have earned positive business relationships with many of the leading Transportation, DEF, and Oil Distributing industry companies. Transliquid – What makes you unique in what you do? GEMRIKUSA – The uniqueness of our product can best be summarized as being built with everything that is needed to perform our goal of affordably protecting bulk DEF without “unnecessary overbuilding”. Avoiding “unnecessary overbuilding” has allowed us to bring a high quality, functional product to the market. Our modular series ships crated (which saves on shipping costs), assembles in less than 30 minutes, and we offer affordable Heater (with thermostat), and Wall Mounted Exhaust Fan options. Our product evolution goal is to continually search for ways to provide the best value to the market without compromising functionality or quality. Transliquid – Tell us about a unique customer need and how you helped fill in that need? GEMRIKUSA – One particular “uniqueness” of the DEF Shelter is its ability to expand its storage capabilities as the customer’s needs grow. The initial placement of the DEF Shelter330 series (which houses one 330 gallon tote) can easily, and affordably, be converted to a DEF Shelter660 series that houses two 330 gallon totes, doubling the customer’s storage ability. Essentially, the end user can spread their DEF protection investment out over a period of time to meet their future needs, and not have to overinvest initially. Transliquid – Tell us a little more about the different types of shelters you provide our DEF industry. GEMRIKUSA – Our “Flagship” products include the Diesel Exhaust Fluid (DEF) Shelter330 and DEF Shelter330E for single tote storage, protection, and dispensing. We also offer the DEF Shelter660 and DEF Shelter660E for dual tote storage, protection and dispensing. 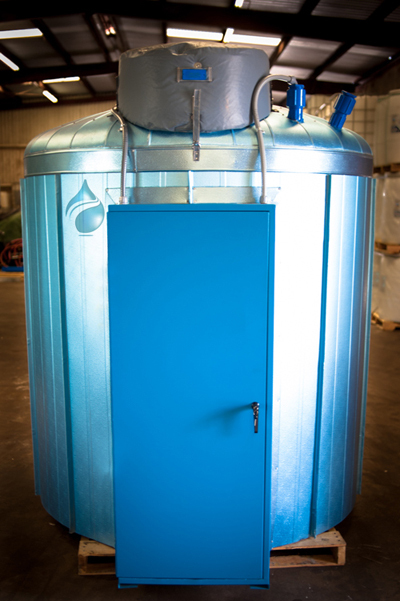 In addition, we have the DEF Shelter1000 for 1,000 gallon tank storage, protection, and dispensing. Two other companion products currently available are the DEF ShelterCK (conversion kit for expanding and existing 330 series to a 660 series) and the DEF ReelShelter (a unit designed to house a hose reel, and either, or both, of the optional Heater w/Thermostat and Exhaust Fan). The DEF ReelShelter is ideal for companies that have their bulk storage inside, but need the dispensing capabilities at an exterior location that their DEF is plumbed to. Transliquid –When you are away from the office and work, where do you escape to? GEMRIKUSA – I am a 100% family man and enjoy spending time with my wife, children and grandchildren. I have always been a “hands on” person and have always enjoyed projects around the home and yard. My wife and I are regular exercisers and enjoying training for, and participating in, 5K, 10K and Half Marathons across the country. In addition to regular exercise, our preferred relaxation “get-a-way” is definitely the beach….any beach! Transliquid – What future plans does GEMRIKUSA have for our growing industry? GEMRIKUSA – We will always keep focused on our initial philosophy of “affordable functionality, and unparalleled quality”, as we move through the growth and expansion process. There are several projects in the immediate works, however, we have kept ourselves flexible enough to react to any unforeseen changes in the industry, and at the same time, stay “forward focused” with regards to bringing new solutions and technology to this great industry. From all of us here at Transliquid, we’d like to take the opportunity to thank Rick Hagler for the content and pictures used on this blog post. It truly has been a pleasure to highlight GEMRIKUSA, a leader in DEF shelters. You can check out them out online at http://www.gemrikusa.com/ or contact them by dialing 1-855-4-DEF-NOW (433-3669). As always, we alway love to hear your comments so sound them off. Hi guys, we wanted to do a quick entry on the three most common upgrades on the Bulk DEF Transfer Pump Dolly (best seller). When it comes to bulk DEF pumps, we worked closely with our distributors in creating a DEF pump system that did the job, met DEF specifications (ISO22241), and was affordable. We are not going to bore you with all the details on this pump, you can see the original release here and here. What we want to do is concentrate on getting to those three most important upgrades that you keep requesting. 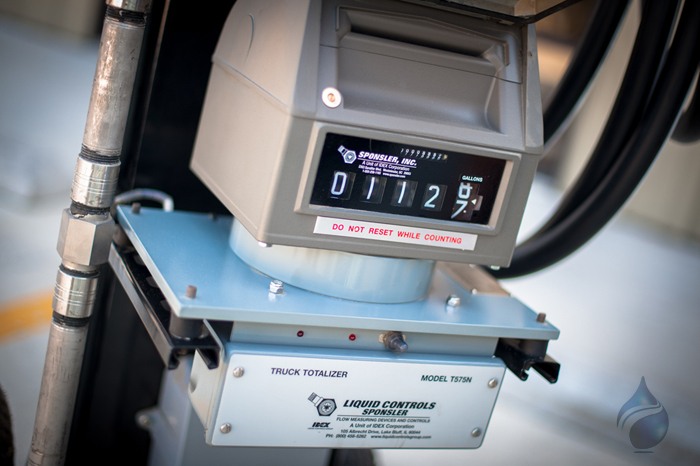 When it comes to diesel exhaust fluid (DEF) equipment, you are a major driving force in helping us develope these systems. The first upgrade that we will be focusing on is the DEF Banjo meter. Why is this first upgrade important to you? 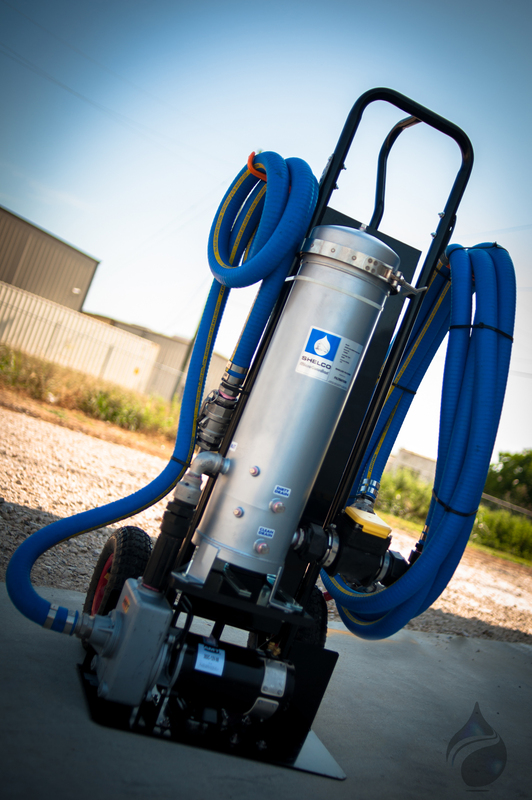 First of all, the standard DEF transfer pump dolly is set up with a 1 1/2″ pump. 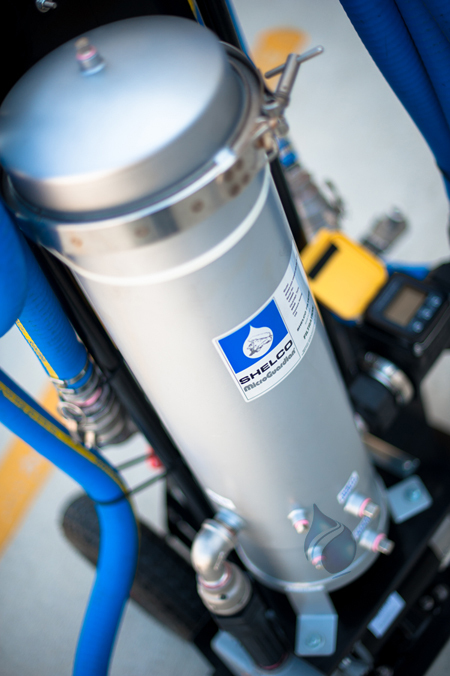 The banjo meter gives you the ability to maintain a higher flow rate by increasing the diameter on the meter itself to 2″ and the hoses to 1-1/2″. Without the micromatic connections, you will see flow rates to 40 GPM. With micromatic connections, you will see 26-28 GPM. The upgrade not only looks good, but it also performs very well on this DEF transfer system. So think higher flow rate for this simple upgrade. Why is the second upgrade important to you? The second most asked upgrade is having the option to have a weights and measures flow meter. This is important because you are telling us that you are ready to start refilling on location. This DEF weights and measure flow meter will give you that capability and print a receipt for your customers. Remember, that this DEF bulk transfer pump can also be used for a DEF Bulk Tank set up, so the weights and measures meter definitely comes in handy when needed. Think ability to resell DEF with an approved weights and measures DEF flow meter is a winner in this set up. Why is the third upgrade important to you? This upgrade consists of having a DEF high flow Shelco filter. A lot of our distributors who have already set up a DEF bulk tank system on location are choosing to have their DEF filtered when receiving/delivering product. The DEF Shelco filter ensures purity down to 1 micron; so this is now an option available on this portable DEF pump dolly system. So, there you have it. The 3 most asked upgrades that we have been developing for you. But wait! There is one more upgrade, and we will be highlighting soon. Inventory fluid management w/ printer? Stay tuned to the blog for more information on it. ……supporting our distributors. Call us today with any questions, we’ll be happy to talk with you. You can also email us at by visiting out contact us page. Who’s who in DEF? Meet the Integer clan. 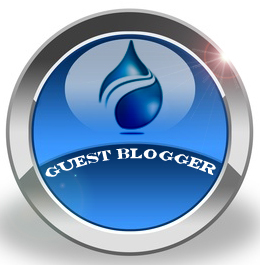 – Guest Blogger. First of all, a big shout out to our new subscribers. Thank you very much for subscribing to our blog and thank you for being part of our family. It’s awesome to have you here! Following our new tradition of guest bloggers, we always shine a light on great organizations adding value to our Diesel Exhaust Fluid industry. Our approach is fairly new but we are having a blast talking to a lof of you out there. We are very thankful for all of you guys that have shown a high interest in participating. Well, it is my pleasure to place the spot light on our friends at Integer this week. But who is Integer? You know, that question comes up very often when we present at our seminars so let’s introduce the team that meticuously researches for data on our Diesel Exhaust Fluid industry. So, who is Integer? At a glance, Integer is a specialist provider of research, data, analysis and consultancy services across a growing range of global commodities markets. In our case, Diesel Exhaust Fluid. Furthermore, if you are not aware of the yearly DEF conference, Integer puts together a great event, which by the way, it will be hosted in Cincinnati 2012 DEF conference. One of the things that we appreciate from Integer are the different developments on the Diesel Exhaust Fluid front. 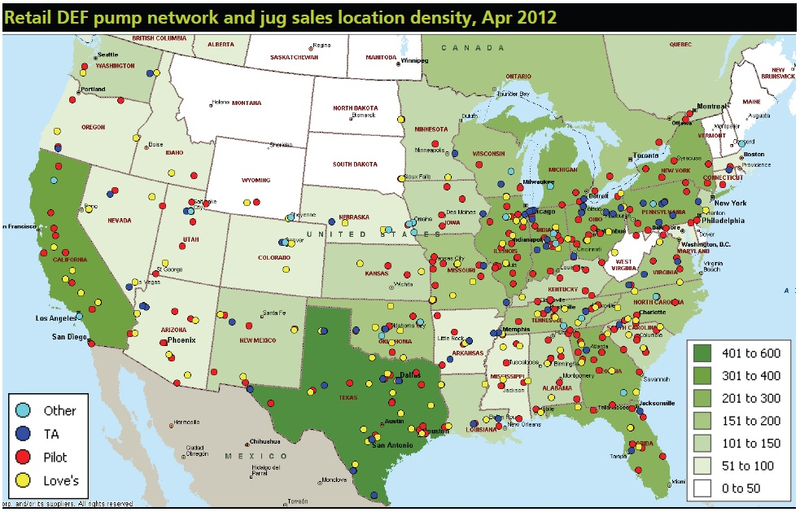 From the retail network of DEF (truck stops), to the availablity of packaged products and the number of fleets which have installed bulk storage units for Diesel Exhaust Fluid. Here is one of several examples to be expected from Integer. Don’t forget about the great job being done at discoverDEF.com also. We apprecate you efforts, keep it up. See you in Cincinnati!